Optical disc drive (ODD) is a disk drive that uses laser light or electromagnetic waves within or near the visible light spectrum as part of the process of reading or writing data to or from optical discs. According to the types of optical media, the optical disc drive can be divided into "CD" "DVD", or "Blu-ray", followed by "drive", "writer", etc. Blu-ray Drive, as its name implies, is an optical disc drive that is specially designed to play Blu-ray Disc, a high-definition optical disc format with great dentisy. So far, all Mac and Windows-based PC haven't ship with Blu-ray drive for one reason or another, so they couldn't access to the Blu-ray Disc. Therefore, there are plenty of Blu-ray drives coming into the market. Here will share some reviews about some Blu-ray Drive, hoping to provide some references for users. It can get all the power it needs from a USB connection so there is no hassle of power cables. The Samsung Blu-ray RW supports both PC and Mac systems, as well as multimedia Television (if it has a USB input). Its price is $93.40. With USB 3.0. Magic Cinema technology, extreme 12X Blu-ray writing speed enables Blu-ray 3D entertainment, and its Diamond Shape realizes aesthetics of technology. Its price is $139.99. Cladding in a beautiful aluminum casing, it uses a high performance Panasonic drive inside which plays Blu-ray disc, and reads & writes DVD and CD. 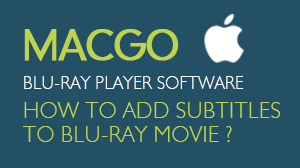 Please note that package cannot play blu-ray movie or read blu-ray disc, unless it works with software for Blu-Ray playback, so you need to download or purchase additional 3rd party Blu-ray player software for Mac or PC. Also, the Blu-ray Combo drive does not have capability to burn Blu-Ray disc. Its price is $78.99. Blu-ray Player Software is a Blu-ray media library application designed to play Blu-ray discs, BDMV folders and Blu-ray ISO files on the computers running the Microsoft Windows and Mac operating systems. 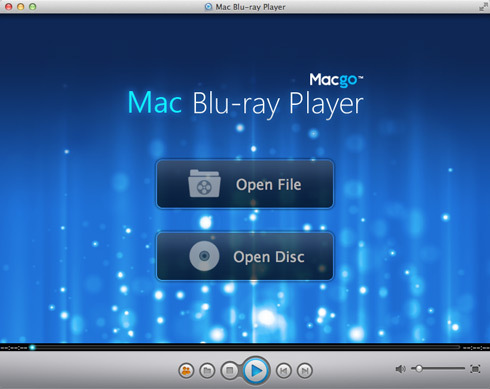 Depending on the computer operating system it runs on, the Blu-ray player software is divided into two general categories: Mac Blu-ray player and Windows Blu-ray player. All of them include a large number of decoding and encoding libraries to read Blu-ray information, remove Blu-ray protection and support Blu-ray playback. It should work together with Blu-ray drive, when you want to play Blu-ray Disc. The best-in-class Blu-ray player software includes VLC media player, MPlayer, Mac Blu-ray Player, Windows Blu-ray Player, Windows Media Player, DVDfab media player, PowerDVD, etc. 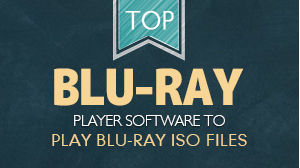 Here I would like to recommand two brilliant Blu-ray player Software to all users for references. 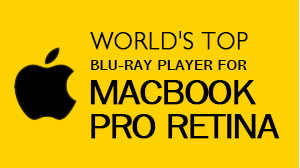 As the world's very first and best Blu-ray player software for Mac OS X, Mac Blu-ray Player is designed to play all Blu-ray Discs, Blu-ray ISO files, or Blu-ray (BDMV) folders on all Mac models - MacBook Pro, Air, Mac mini, iMac, Mac Pro with OS 10.5 to 10.8. Also you can use this amazing Bl-ray media player software to play Blu-ray or videos of other media formats on iOS devices, such as iPhone, iPad, iPad min, and i Pod touch, just by enabling its build-in AirX function. Featuring friendly UI, high definition up to 1080p, dts stereo, SNS sharing, universal media performance, and many other great functions, Mac Blu-ray Player can allow you to access fantastic Blu-ray enjoyment. Windows Blu-ray Player software is an outstanding Blu-ray Player for Windows-based PC, which can perfectly play Blu-ray Disc, Blu-ray ISO files, or Blu-ray (BDMV) folders on all popular Windows operating systems, such as Windows XP (SP2 or later), Windows Vista, Windows 7, and Windows 8. Apart from Blu-ray, the universal performance of Windows media player also refers to DVD, VideoCD, MOV, MKV, AVI, FLV, WMV, MP4, MPEG, RMVB, MP3, WMA, AAC, AC3, etc. 1080p HD and dts7.1/5.1 supported, Windows Media Player will present you a fantastic Blu-ray experience on Windows.